The much awaited HTC One mini (Quick Review) might finally see Indian shores in the coming few weeks. The device is expected to be launched along with the mind-range Desire 500(Quick Review). 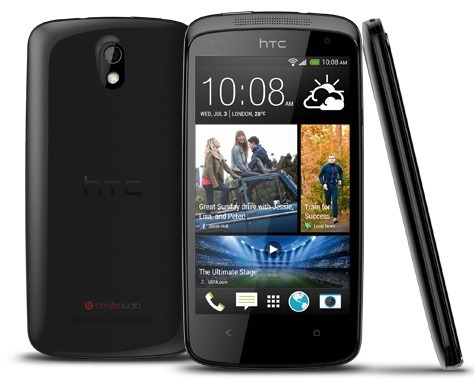 The two devices would be HTC’s bet in the over-crowded mid-range segment in the Indian smartphone market. Both devices sport 4.3 inch screens, but that’s perhaps the only thing in common. Other specifications are very different, which you’ll know as you read on. Taking a look over the specifications of the Desire 500, the phone, as mentioned features a 4.3 inch screen with a WVGA resolution of 800×480 pixels. The device will come powered by a 1.2 GHz quad core processor, which is pretty impressive for a device of its calibre and price. You can expect the device to turn out to be more than a handful at the imaging department as well with it’s 8MP rear and 1.6MP front facing cameras. Along with a good 1GB of RAM, the phone will pack 4GB of ROM, which will be expandable by up to 64GB. The Desire 500 will come with an 1800mAh battery which probably is the only link which you might find weak. All this for under 15k INR, and we’re talking of some serious value for money! Coming to the HTC One mini, we assume you’re already aware of the specifications of this eagerly-anticipated device. The phone carries a 4.3 inch screen packing an impressive resolution of 1280×720 pixels, making it suitable for everything from reading to gaming (and videos for some). The phone will come powered with a more powerful 1.4 GHz quad core processor along with 1GB of RAM. There will be 16GB of ROM on-board as well. 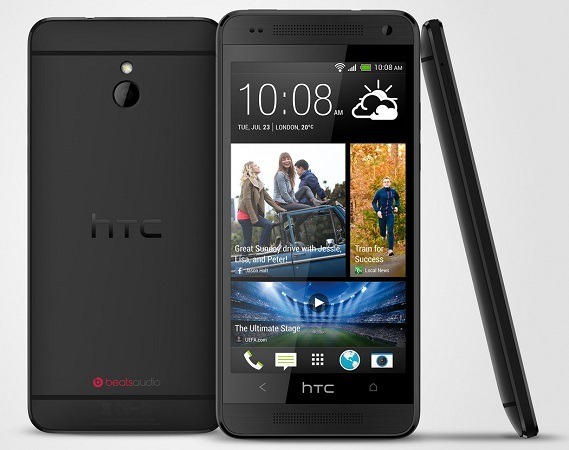 The phone will come with HTC’s own take on imaging, the 4MP ultrapixel camera. The device will have the same 1800mAh battery as the Desire 500, and will come pre-installed with Android v4.2.2. Both these devices are expected to compete against a range of domestic branded phones such as the iBall Andi 5h Quadro, Wickedleak Wammy Passion Z, XOLO X1000, etc.